No. 8, Jalan BJ2T 2/2, Kawasan Perindustrian Balakong Jaya 2 Tambahan, 43300 Seri Kembangan, Selangor, Malaysia. Founded in 1992, Lepcon Tools carries a comprehensive range and brands of tools such as Grinders, Drills, Orbital Sanders, Demolition Hammers, Levels, Laser and many more to cater to all your residential and commercial project needs. Whether it is a home DIY project or for use in a professional environment, Lepcon Tools has a solution for you and according to your budget. 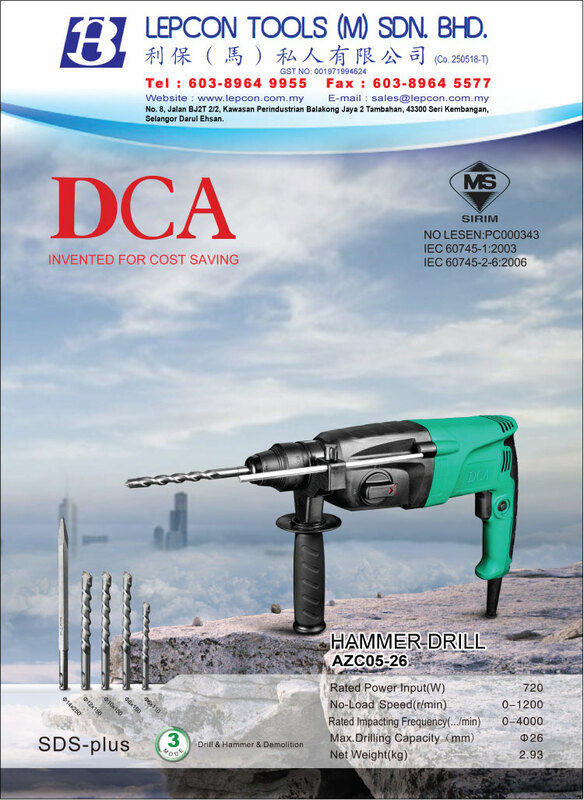 Lepcon Tools is the appointed sole distributor of the DCA brand of professional power tools in Malaysia. 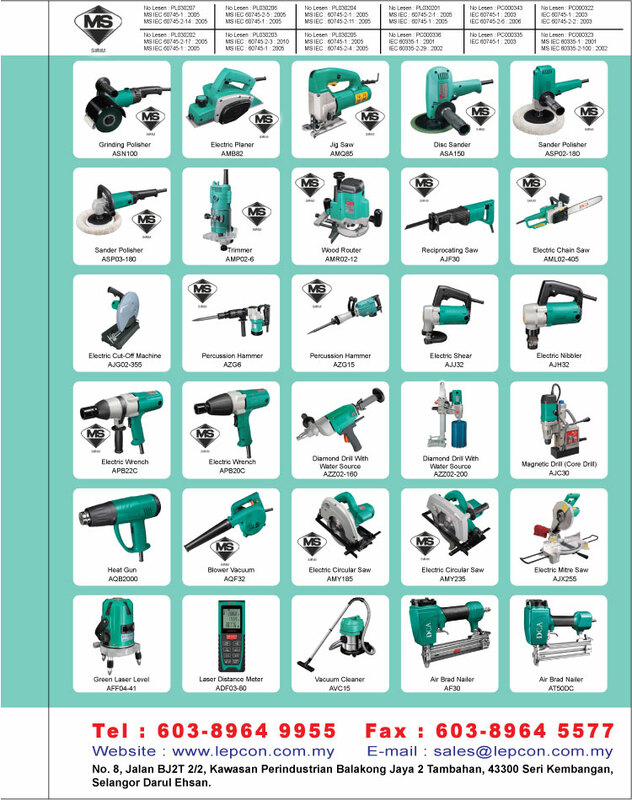 Our DCA brand of power tools in particular, is proven to be of top quality, durable and priced very competitively. Test feedback from professionals has been exceptionally positive. 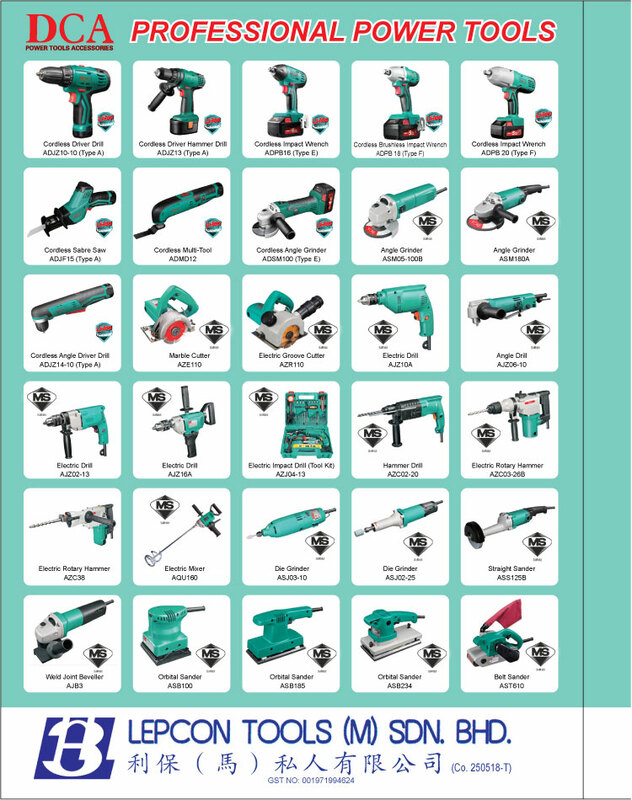 All DCA power tools marketed by Lepcon Tools have obtained SIRIM and ST (Suruhanjaya Tenaga) approvals and they are backed by our six-month warranty. 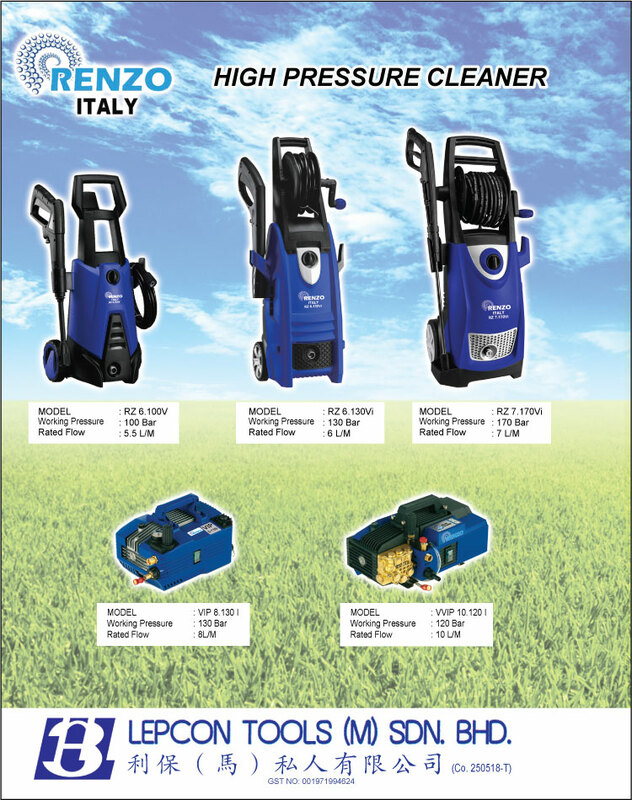 The market reach for DCA power tools and Kapro Tools in Malaysia is on the rise and whether you are a dealer, supplier or an end user from industry, we are more than keen to demo them for your benefit. 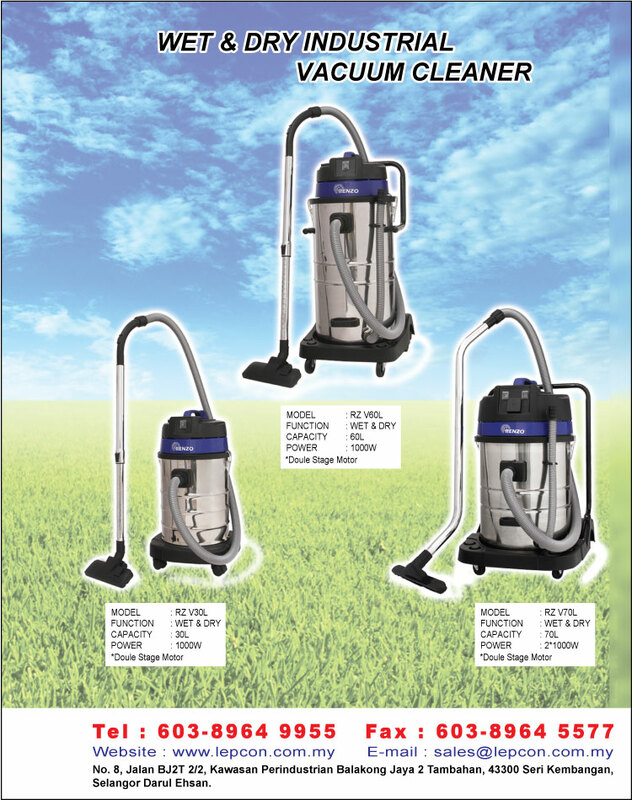 The DCA line of power tools gives Lepcon Tools the edge to spearhead its growth throughout the Malaysian market. Lepcon Tools is an official distributor for Kapro Tools which specializes in level, laser, marking and measuring tools. Kapro brings the world tools with vision, products that are market leaders in excellence innovation, design, quality and value. 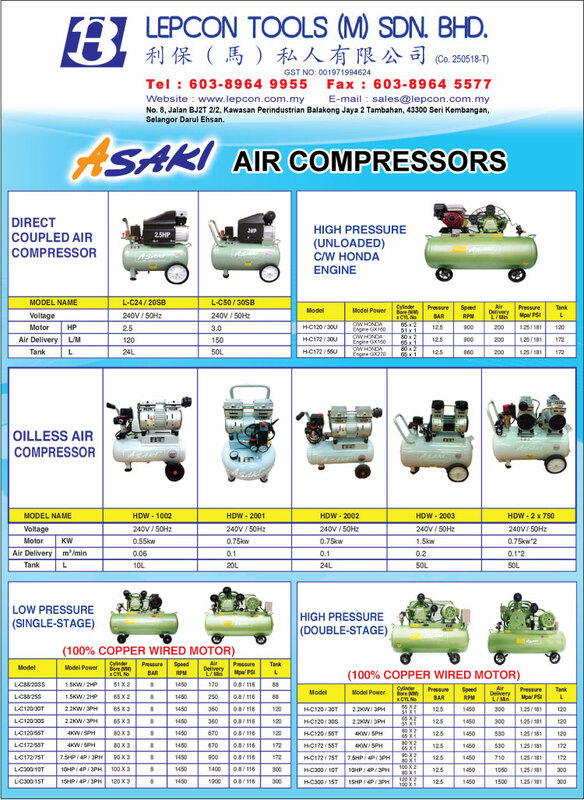 Lepcon Tools is not only satisfied with providing top quality tools at the best price. Service to customers is our number one priority. Our pre-sales and after sales service are rated as one of the best in the market. We have a strong in-house technical support team to listen, offer advice and recommend the right product for you and within your budget. We go the extra mile to help you minimize your project downtime by responding with our effective trouble shooting. Our emphasis on offering the right product at the right price with great service has endeared us to our customers for the past twenty years or so. Our eventual aim is to be Malaysia's tools leader.